MOSCOW, August 3. /TASS/. Ottawa provides substantial financial support to the so-called White Helmets organization, Russian Foreign Ministry Spokeswoman Maria Zakharova said on Friday. "The White Helmets turned out to be foreign agents working in anti-Syrian interests for huge amounts of money. They are currently evacuated from Syria, including to Canada," the diplomat noted. "The White Helmets had close ties with extremists. Small wonder that from now on attempts will be made to hide them in Canada as well. Ottawa renders financial assistance to this pseudo-humanitarian organization. The issue at hand is huge sums of money." "Canada had some dark pages in its history when that country was a safe haven for Hitlerites from Ukrainian SS battalions many of whom were never duly punished for their acts of atrocity," Zakharova noted. "Canada is thus giving a warm welcome to terrorists’ accomplices." 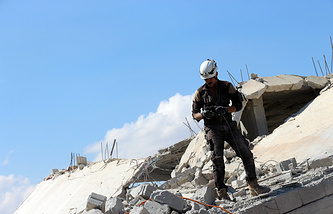 On July 22, Israel Foreign Ministry Spokesman Emmanuel Nahshon said that Israel had evacuated White Helmets activists and their families from Syria upon the request of the United States, Canada and some European countries. According to Israel’s Galei Zahal radio station, 800 people have been evacuated to Jordan from Syria’s southern parts. 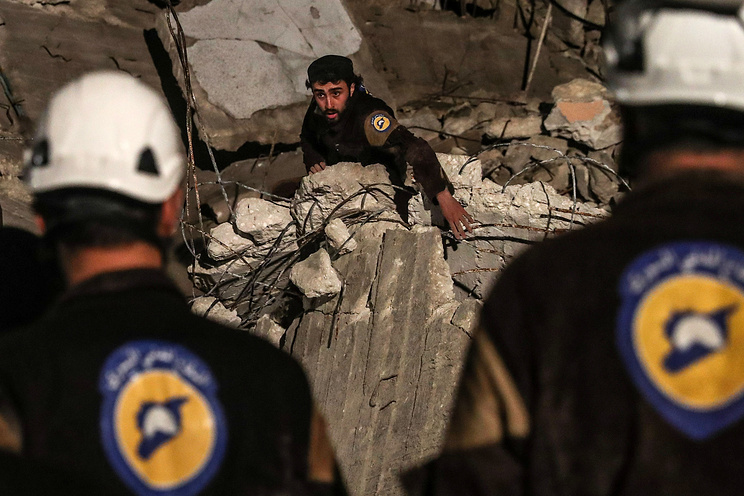 Damascus believes that the White Helmets have ties with terrorists from the Jabhat al-Nusra terror group (outlawed in Russia) and act in its interests. Washington has supported the White Helmets financially since 2013, with over $33 mln provided to that organization since then.